Comes from community and High school football background. Wanted to stay active and have a reason to workout. Interested in his heritage and wanting to help preserve its traditions for his kids, he found Carl Jensen online (Athletic Director for Victoria Highland Games Association). They got together and started the Vancouver Island chapter of the BC Heavy Events group. Into his second year of throwing and plans on doing it for many years to come. 2017.09.09 Kelso Highland Games 3 30'5.0" 24.0lbs. 38'5.0" 18.0lbs. 22'0.0" 20.0lbs. 11:00 18'6.0" 80.0lbs. 59'9.5" 30'7.3" 112'10.0" N/A 13'0.0"
2017.07.08 Kamloops Highland Games 1 30'10.0" 23.1lbs. 36'7.0" 17.4lbs. 24'0.0" 20.0lbs. 12:00 15'11.0" 87.0lbs. 57'8.0" 27'2.0" 105'10.0" 89'1.0" 12'0.0"
2017.07.01 Canada Day at Craigflower 2 25'6.5" 26.5lbs. 33'8.0" 17.0lbs. 24'0.0" 20.0lbs. N/A 51'9.0" 27'7.0" 96'5.0" 76'4.5" 12'0.0"
2017.06.17 BC Highland Games 1 28'3.0" 26.2lbs. 36'3.0" 16.6lbs. 24'0.0" 20.0lbs. 01:00 18'0.0" 90.0lbs. 60'7.0" 30'0.0" 106'4.0" 89'0.5" 12'0.0"
2017.05.20 Victoria International Highland Games Challenge 2 N/A 36'5.0" 17.0lbs. N/A 12:05 18'6.0" 80.0lbs. 57'4.0" 29'7.0" 108'0.0" 88'5.0" 12'0.0"
2014.07.05 Penticton highland games 3 30'5.0" 26.2lbs. 37'11.5" 16.6lbs. 26'0.0" 16.0lbs. 12:30 18'0.0" 105.0lbs. 62'3.0" 31'7.0" 113'9.0" 93'0.0" 12'0.0"
2014.06.21 BC Highland Games 1 29'3.0" 26.2lbs. 38'8.0" 16.6lbs. 24'0.0" 20.0lbs. 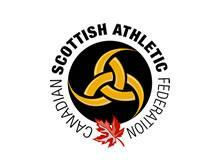 N/A 61'9.0" 34'5.5" 109'10.0" 89'8.5" 12'0.0"
2014.05.17 Victoria International Highland Games Challenge 12 28'3.5" 26.5lbs. 39'0.5" 17.0lbs. N/A N/A 64'2.3" 34'7.8" 112'8.0" 95'7.3" 13'0.0"
2013.08.31 Calgary Highland Games 6 32'6.5" 23.0lbs. 36'5.0" 16.3lbs. N/A N/A 59'8.0" 30'7.0" 110'11.0" 92'3.0" 13'0.0"
2013.07.27 Enumclaw Highland Games WA USA 4 29'8.0" 23.0lbs. 38'11.0" 17.0lbs. 22'0.0" 20.0lbs. N/A 62'6.5" 31'9.5" 103'1.0" N/A 13'0.0"
2013.06.22 Coquitlam Highland Games 2 28'3.0" 26.2lbs. 39'11.0" 16.6lbs. 20'0.0" 20.0lbs. 01:00 17'1.0" 85.0lbs. 62'6.0" 33'8.0" 115'0.0" 95'7.0" 13'0.0"
2013.06.01 Bellingham Highland Games 8 N/A 38'6.0" 16.5lbs. N/A N/A 63'2.0" 33'3.5" 120'0.0" N/A 12'0.0"
2013.05.19 Regina Highland Games 4 30'6.5" 23.0lbs. 39'3.0" 16.2lbs. 23'0.0" 20.0lbs. N/A 62'1.5" 33'10.5" 120'0.0" 96'8.0" 13'0.0"
2012.09.08 Minnesota Renaissance Festival 12 32'3.0" 23.5lbs. 38'5.0" 16.5lbs. N/A N/A 60'3.5" 33'3.5" N/A 91'9.0" 13'0.0"
2012.09.01 Calgary Highland Games 2 32'8.0" 22.5lbs. 42'5.0" 17.2lbs. 23'0.0" 20.0lbs. N/A 58'2.0" 31'0.0" 116'0.0" 92'8.0" 12'0.0"
2012.06.23 BC Highland Games 1 27'0.0" 26.2lbs. 38'4.5" 16.6lbs. 22'0.0" 20.0lbs. 11:30 17'1.0" 83.0lbs. 65'4.5" 34'2.0" 107'11.0" 91'11.0" 13'0.0"
2012.06.02 Bellingham Highland Games 3 N/A 38'10.5" 16.4lbs. 24'0.0" 20.0lbs. N/A 61'9.0" 34'0.5" 110'11.5" 95'6.0" 13'0.0"
2012.05.19 Comox Valley Highland Games 2 28'10.0" 26.2lbs. 40'3.5" 16.6lbs. 21'0.0" 20.0lbs. 11:00 19'0.0" 105.0lbs. 65'1.0" 27'6.0" 109'11.5" 94'6.0" 13'0.0"
2012.05.19 Victoria International Highland Games Challenge 3 28'0.5" 26.4lbs. 37'7.5" 17.8lbs. N/A 10:30 17'0.0" 84.0lbs. 60'3.8" 30'4.5" 115'5.3" 94'3.8" 13'0.0"
2011.08.20 CSAF Amateur Championship 7 N/A 37'3.5" 17.4lbs. N/A N/A 58'10.0" 27'11.0" 104'4.0" 89'6.0" 12'0.0"
2011.05.21 Victoria International Highland Games Challenge 2 27'10.8" 26.5lbs. 35'2.8" 17.0lbs. N/A N/A 57'6.0" 27'6.3" 102'4.3" 82'8.8" 12'0.0"
2009.05.16 Victoria Highland Games 2 26'2.5" 22.0lbs. 30'10.0" 16.0lbs. N/A 03:12 19'6.0" 72.0lbs. 52'1.8" 26'2.0" 94'2.8" 73'3.5" 12'0.0"
2008.07.12 Kamloops Highland Games 1 22'6.5" 26.0lbs. 29'2.3" 16.0lbs. N/A -01:11 16'5.0" 85.0lbs. 49'0.5" 24'5.3" 96'1.0" 69'11.5" 11'0.0"
2008.05.18 Victoria Highland Games 2 N/A 30'7.0" 16.0lbs. N/A N/A 50'10.0" N/A 94'0.5" N/A 11'0.0"
2007.06.30 BC Highland Games 2 24'10.0" 22.0lbs. 32'6.0" 16.6lbs. 16'0.0" 0.0lbs. 00:00 16'5.0" 85.0lbs. 46'9.3" 23'2.5" 86'10.5" 73'7.3" 10'0.0"
2007.06.16 BC Legion Games - Campbell River 2 25'11.8" 22.0lbs. 28'4.3" 16.0lbs. 17'0.0" 0.0lbs. N/A 46'2.3" 23'3.0" 86'11.0" 68'9.0" 11'0.0"